Angkor is one of the most important archaeological sites in South-East Asia. Stretching over some 400 km2, including forested area, Angkor Archaeological Park contains the magnificent remains of the different capitals of the Khmer Empire, from the 9th to the 15th century. They include the famous Temple of Angkor Wat and, at Angkor Thom, the Bayon Temple with its countless sculptural decorations. UNESCO has set up a wide-ranging programme to safeguard this symbolic site and its surroundings. Angkor est l’un des principaux sites archéologiques de l’Asie du Sud-Est. S’étendant sur quelque 400 km2 couverts en partie par la forêt, le parc archéologique d’Angkor recèle les admirables vestiges des différentes capitales de l’Empire khmer qui rayonna entre le IXe et le XVe siècle : le célèbre temple d’Angkor Vat et, à Angkor Thom, le temple du Bayon orné d’innombrables sculptures. L’UNESCO a mis en œuvre un vaste programme de sauvegarde de ce site symbole et de son environnement. يمثّل موقع أنغكور أحد أهم المواقع الأثرية في جنوب شرق آسيا. تمتد هذه الحديقة الأثرية على حوالى 400 كم٢ من الأراضي المغطاة جزئياً بالغابات وتزخر بالآثار الرائعة للعواصم المختلفة لإمبراطورية الخمير التي سطع نجمها بين القرن التاسع والقرن الخامس عشر. ومن أبرز هذه الآثار، معبد أنغكور فات الشهير ومعبد بايون، في أنغكور توم، المزيّن بالعديد من المنحوتات. ولقد وضعت اليونسكو برنامجاً واسع النطاق لحماية هذه الموقع الرمزي والبيئة المحيطة به. Ангкор является одним из важнейших археологических объектов в Юго-Восточной Азии. Раскинувшийся на площади, превышающей вместе с лесными массивами 400 кв. км, Ангкорский археологический парк располагает великолепными руинами, сохранившимися от нескольких столиц империи Кхмеров IX–XV вв. Это знаменитый храм Ангкор-Ват, храм Байон в Ангкор-Тхоме с бесчисленными скульптурными украшениями. ЮНЕСКО разработала комплексную программу охраны этого имеющего символическое значение объекта и его окружения. Angkor es uno de los sitios arqueológicos más importantes del Asia Sudoriental. Se extiende por unos 400 km2, cubiertos en gran parte por la selva, y encierra los admirables vestigios de las distintas capitales del Imperio Jémer, que estuvo en su apogeo entre los siglos IX y XIV. Entre esos vestigios destacan el célebre templo de Angkor Vat y el del Bayon, situado en Angkor Thom, que está ornamentado con innumerables esculturas. La UNESCO ha puesto en marcha un vasto programa de salvaguardia de este sitio simbólico y de su entorno. Angkor – in het noorden van de provincie Siem Reap in Cambodja – is een van de belangrijkste archeologische sites van Zuidoost-Azië. Het strekt zich uit over ongeveer 400 vierkante kilometer en bestaat uit tal van tempels, kunstwerken (bekkens, dijken, reservoirs, kanalen) en verbindingswegen. Het archeologisch park Angkor bevat de prachtige restanten van de verschillende hoofdsteden van het Khmer Rijk, van de 9e tot de 15e eeuw. De overblijfselen omvatten de beroemde tempel van Angkor Wat en de Bayon tempel in Angkor Thom, met talloze gebeeldhouwde decoraties. Het park wordt bewoond door mensen met voorouders uit de Angkor periode. Angkor, in Cambodia’s northern province of Siem Reap, is one of the most important archaeological sites of Southeast Asia. It extends over approximately 400 square kilometres and consists of scores of temples, hydraulic structures (basins, dykes, reservoirs, canals) as well as communication routes. For several centuries Angkor, was the centre of the Khmer Kingdom. With impressive monuments, several different ancient urban plans and large water reservoirs, the site is a unique concentration of features testifying to an exceptional civilization. Temples such as Angkor Wat, the Bayon, Preah Khan and Ta Prohm, exemplars of Khmer architecture, are closely linked to their geographical context as well as being imbued with symbolic significance. The architecture and layout of the successive capitals bear witness to a high level of social order and ranking within the Khmer Empire. Angkor is therefore a major site exemplifying cultural, religious and symbolic values, as well as containing high architectural, archaeological and artistic significance. The park is inhabited, and many villages, some of whom the ancestors are dating back to the Angkor period are scattered throughout the park. The population practices agriculture and more specifically rice cultivation. Criterion (i): The Angkor complex represents the entire range of Khmer art from the 9th to the 14th centuries, and includes a number of indisputable artistic masterpieces (e.g. Angkor Wat, the Bayon, Banteay Srei). Criterion (ii): The influence of Khmer art as developed at Angkor was a profound one over much of South-east Asia and played a fundamental role in its distinctive evolution. Criterion (iii): The Khmer Empire of the 9th-14th centuries encompassed much of South-east Asia and played a formative role in the political and cultural development of the region. All that remains of that civilization is its rich heritage of cult structures in brick and stone. Criterion (iv): Khmer architecture evolved largely from that of the Indian sub-continent, from which it soon became clearly distinct as it developed its own special characteristics, some independently evolved and others acquired from neighboring cultural traditions. The result was a new artistic horizon in oriental art and architecture. exogenous: related to the proximity of the town of Siem Reap, the seat of the province and a tourism hub. Previous conservation and restoration works at Angkor between 1907 and 1992, especially by the École Française d’Extrême-Orient (EFEO), the Archaeological Survey of India, the Polish conservation body PKZ, and the World Monuments Fund have had no significant impact on the overall authenticity of the monuments that make up the Angkor complex and do not obtrude upon the overall impression gained from individual monuments. The property is legally protected by the Royal Decree on the Zoning of the Region of Siem Reap/Angkor adopted on 28 May 1994 and the Law on the protection of the natural and cultural heritage promulgated on 25 January 1996, the Royal Decree on the creation of the APSARA National Authority (Authority for the protection of the site and the management of the Angkor Region) adopted on 19 February 1995, the No. 70 SSR government Decision, dated 16 September 2004 providing for land‐use in the Angkor Park: “All lands located in zone 1 and 2 of the Angkor site are State properties”, and the sub-decree No. 50 ANK/BK on the organisation and functioning of the APSARA National Authority adopted on 9 May 2008, specifically provided for the establishment of a Department of Land‐use and Habitat Management in the Angkor Park. In order to strengthen and to clarify the ownership and building codes in the protected zones 1 and 2, boundary posts have been put in 2004 and 2009 and the action was completed in 2012. As off 1993, the ICC-Angkor (International Coordinating Committee for the Safeguarding and Development of the historic site of Angkor) created on 13 October 1993, ensures the coordination of the successive scientific, restoration and conservation related projects, executed by the Royal Cambodian Government and its international partners. It ensures the consistency of the various projects, and defines, when necessary, technical and financial standards and calls the attention of all the concerned parties when required. It also contributes to the overall management of the property and its sustainable development. The successful conservation of the property by the APSARA National Authority, monitored by the ICC-Angkor, was crowned by the removal of the property from the World Heritage List in danger in 2004. Angkor is one of the largest archaeological sites in operation in the world. Tourism represents an enormous economic potential but it can also generate irreparable destructions of the tangible as well as intangible cultural heritage. Many research projects have been undertaken, since the international safeguarding program was first launched in 1993.The scientific objectives of the research (e.g. anthropological studies on socio-economic conditions) result in a better knowledge and understanding of the history of the site, and its inhabitants that constitute a rich exceptional legacy of the intangible heritage. The purpose is to associate the “intangible culture” to the enhancement of the monuments in order to sensitize the local population to the importance and necessity of its protection and preservation and assist in the development of the site as Angkor is a living heritage site where Khmer people in general, but especially the local population, are known to be particularly conservative with respect to ancestral traditions and where they adhere to a great number of archaic cultural practices that have disappeared elsewhere. The inhabitants venerate the temple deities and organize ceremonies and rituals in their honor, involving prayers, traditional music and dance. Moreover, the Angkor Archaeological Park is very rich in medicinal plants, used by the local population for treatment of diseases. The plants are prepared and then brought to different temple sites for blessing by the gods. The Preah Khan temple is considered to have been a university of medicine and the NeakPoan an ancient hospital. These aspects of intangible heritage are further enriched by the traditional textile and basket weaving practices and palm sugar production, which all result in products that are being sold on local markets and to the tourists, thus contributing to the sustainable development and livelihood of the population living in and around the World Heritage site. A Public Investigation Unit was created as « measure instrument » for identifying the needs, expectations and behaviors of visitors in order to set policies, monitor its evolution, prepare a flux management policy and promote the unknown sites. The management of the Angkor Site, which is inhabited, also takes into consideration the population living in the property by associating them to the tourist economic growth in order to strive for sustainable development and poverty reduction. 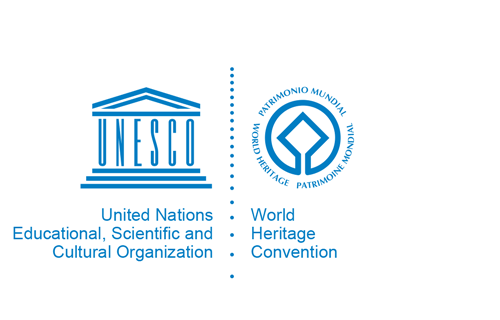 The Heritage Management Framework composed of a Tourism Management Plan and a Risk map on monuments and natural resources; a multilateral cooperation with the Government of Australia and UNESCO. Preliminary analytical and planning work for the management strategy will take into account the necessity to preserve the special atmosphere of Angkor. All decisions must guarantee physical, spiritual, and emotional accessibility to the site for the visitors.